Q: Dose Nammu ONE SIZE FITS MOST really fits all? A: YES!!! 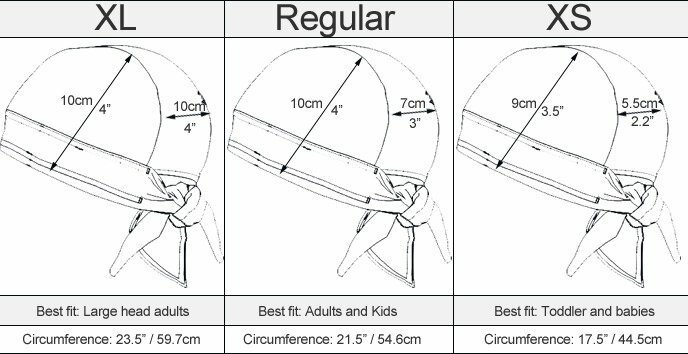 Nammu flexible fabric and design make it a truly ONE SIZE FITS ALL swim cap. The straps tie in the back to fit any head size and give extra strength. – But just to be on the safe side we do offer 2 more sizes: Small and XL. XL – Best fit for above average size adult head or any one who like a looser fit. Small – Best fit for babies and toddlers for a snug fit.